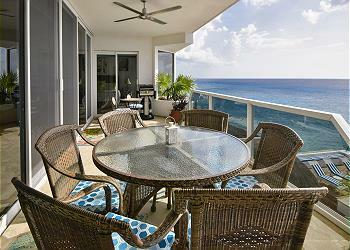 Puesta del Sol is a gorgeous luxury oceanfront condo complex on the beautiful island of Cozumel. It’s located on the quiet northern end of the island. Spanish for sunset, Puesta del Sol offers incredible views of the sun setting over the water that you won’t soon forget! Swim and snorkel to your heart’s content, with steps leading right into the crystal clear water, or lounge by the pool. Downtown is only a 5-minute taxi ride away. Unwind and relax with your family and friends in this picturesque, peaceful spot. Puesta del Sol is yours to savor!